Lately these questions have been increasing in frequency, probably because the rate of people entering the Airstream community has taken a sudden jump this year. Lots of Baby Boomers are buying Airstreams (half of them buying Airstream as the first RV of any type they’ve owned, according to Airstream) and indulging life-long desires to get lost in America. When I get these queries I try to give some sort of answer, but all too often the best answer is “it depends on you.” With all the complexities of switching from a stationary home to a traveling home, it’s understandable that people wish a few things would just be easy, with pat answers and well-established procedures, but experienced has shown me that “One Size Fits All” advice (OSFA) is usually not the best. Really the only good way to give an answer that makes sense is to start by asking questions. To know what works for you, you first need to know something about yourself. What’s your travel style: fast, slow, long stays, short stays? What do you like to do: visiting friends, getting away from civilization, glamping, outdoor activities? All of this plays into the answers to the commonly asked questions. To help with this problem, we are running an article in the upcoming (Fall 2013) issue of Airstream Life entitled “So, What’s Your Camping Style?” In it, author Renee Ettline lists a few personality traits that have a big affect on Airstreaming, and asks you to rate yourself (and your traveling partner) on a scale. It might seem like a silly exercise but really it’s an essential first step to knowing what will work for you—and what won’t. The problem is that it’s hard to know your camping style when you have never owned an RV before. I know we had absolutely no clue what it was going to be like when we bought our first Airstream. Even after a year of ownership, our style kept mutating as we learned more about what worked for us. Our style of travel underwent a big change again when we switched to full-timing. Well, if you are going into it ab initio, you’ve got to make some choices and hope for the best. So here’s my best shot at OSFA advice, for people who really are adrift or paralyzed by their options: talk to your partner, or talk to yourself. Be honest about what you think you want, and listen to what that means. A lot can change when you move from a 2,000 square foot home to a 200-square foot home, but your essential nature and your personal needs will probably stay the same. This is what Renee is trying to show you with her personality questions. Generically I can suggest a bits of common wisdom that often apply (but not always!) First, many people get a trailer smaller than they really need or want, because they are attracted to the “cute factor” of small trailers, or because they are fearful that a big trailer will be hard to deal with. They’re right, smaller is easier, but once you get some experience it becomes less of a factor. It’s a mistake to go too small because it usually is expensive to trade up to a larger size later. Bite the bullet and get the Airstream you really want or need. Personally, I would much rather tow the Argosy 24-footer that we used to have, than the 30-footer we have currently. The Argosy is lighter, easier to maneuver in cramped spots, and fits in more places. But when we had the Argosy we discovered a 24-footer just wasn’t practical for our style of traveling at the time: full-timing with three people and a small business. So we faced reality and tried the intimidating 30-foot Safari. Life got a lot easier when we didn’t have to make up the beds every day, and that trailer has served as our full- and part-time home for eight years. The second piece of advice is that nobody’s budget and nobody’s style matters but your own. Don’t bother trying to figure out “the cost of full-timing” based on what other people spend. That’s like trying to figure out the cost of having a house based on what other people spend. We’re all different. I am pretty sure Matthew McConaughey spends more on his Airstream travel than we do, and there are many people who spend less, but neither has any bearing on what we spend. Everyone has their own special conditions and values that determine the cost of full-time travel. Do you have fixed itinerary points? Medical issues? Personal obligations that will affect your schedule? Do you cook, or eat out? What sort of campsites do you prefer? What’s the condition of your tow vehicle and trailer? Do you do your own maintenance? Do you have friends who will courtesy park you at their homes? How much Internet access do you need? Will you be traveling internationally? Etc. The third thing you should know is that most people don’t understand towing dynamics and hitches at all, even though they can readily regurgitate plenty of platitudes they read on the Internet from “experts”. You’ll hear all sorts of advice about tires, receiver hitches, trailer hitches, weight distribution, and tow vehicles, and I can tell you with great confidence that most of what you will be told is either utter nonsense or badly twisted fact. It’s a real shame that the industry finds itself in this position, because it shouldn’t be such a problem, but almost nobody in the RV’ing industry (and this includes the manufacturers of RVs as well as the manufacturers of hitches, cars, trucks, and tires) is willing to stick their neck out to give up-to-date advice. Here’s a place where we could use an industry standard, but it is an unavoidable fact that there are too many possible combinations out there to allow that. Also, there’s a certain amount of potential liability involved, and being a lawsuit-happy country makes manufacturers highly concerned with avoiding litigation. Don’t write to me asking for hitching advice either—I’m just as concerned about liability as the next guy. I’ll talk about what I use (as I have in this blog many times) and I’ll tell you a few things not to do, but I won’t tell you what gear to buy because it only takes one stupid lawsuit to ruin my day. The industry standard has been to give out OSFA in vast quantities, sometimes repeated from brochures first written up in the 1960s before we had independent air suspensions, no-sway hitches, integrated computerized brake controllers, assembly-line (rather than custom-built) receiver hitches, and 3/4-ton trucks capable of towing a 10,000-lb trailer up an 8% grade at 65 MPH. There is no up-to-date “best practices” document in North America for modern trailer hitching—only OSFA advice designed to limit liability … which puts the onus on you to interpret the advice for your situation and figure out what works. Go forth and be prolific in your reading. Our long-running series about towing by Andy Thomson is a good place to start. If you aren’t the type to do that, then you’ll probably go with the most common approach: buy a bigger truck than you really need, buy any decent hitch & follow the manufacturer’s instructions to set it up, and tow at reasonable speeds. You’ll be OK. This will get you on the road and hopefully you’ll continue to pick up knowledge as you go so you can optimize your rig. Finally, avoid a few traps that can cause your Airstream dream to become a nightmare. Get your financials in order—I’ve met a few Airstreamers who left home with a burden of debt that ultimately collapsed their travel plans. Similarly, don’t hit the road to escape your problems. They’ll follow you. Start with as clean a slate as you can, including clearing out the house and getting rid of “stuff” that is psychically weighing you down. Head out with the Airstream in good shape, if you have a used one. 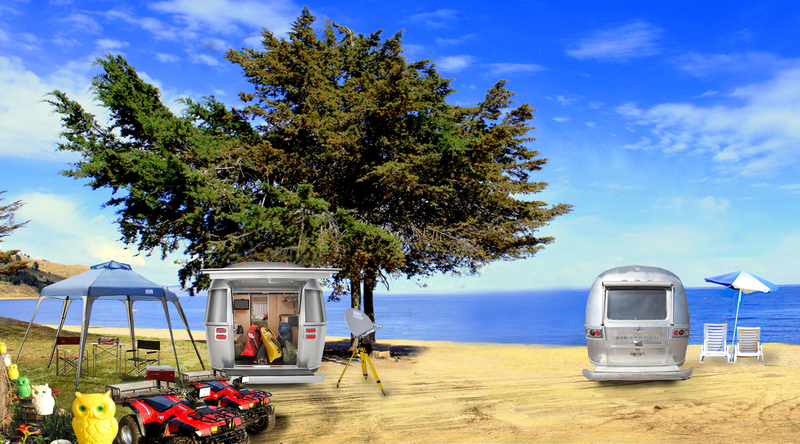 Divers have a saying, “Plan the dive, dive the plan.” But it’s different for Airstreaming. I recommend you make a plan for every trip, and plan to change it as you go. You’ll enjoy Airstreaming a lot more if you allow yourself some flexibility to blow with the wind. There’s no single answer to most of the questions, no magical list of “best” destinations that work for everyone. That’s why I like reading blogs of Airstream friends who are traveling. They have completely different perspectives, different destinations, and have unique experiences even at places we’ve gone. They inspire fresh thinking. So many of the questions are impossible to answer. But if they all had OSFA answers, I think our lifestyle would be much less interesting. It is the fact that my journey will not be your journey, that makes it worth doing. In other words, grasshopper, do not request answers to questions you should answer yourself. When I’m TBM I must admit that I don’t eat as well as during the rest of the year, when Eleanor is here to cook. But it’s an opportunity to eat like a bachelor, and believe it or not that’s not entirely bad. It inspires independent thinking, for one thing. Sure, the blueberry/chocolate smoothie wasn’t my biggest success (nor the caramel/bacon smoothie). And my annual survey of Tucson’s Sonoran hot dog stands (ongoing at the moment) is a health fanatic’s nightmare. It doesn’t matter. The essence of TBM is trying new things, following sudden inspirations, and taking small risks to uncover the answers to questions nobody cares to ask. 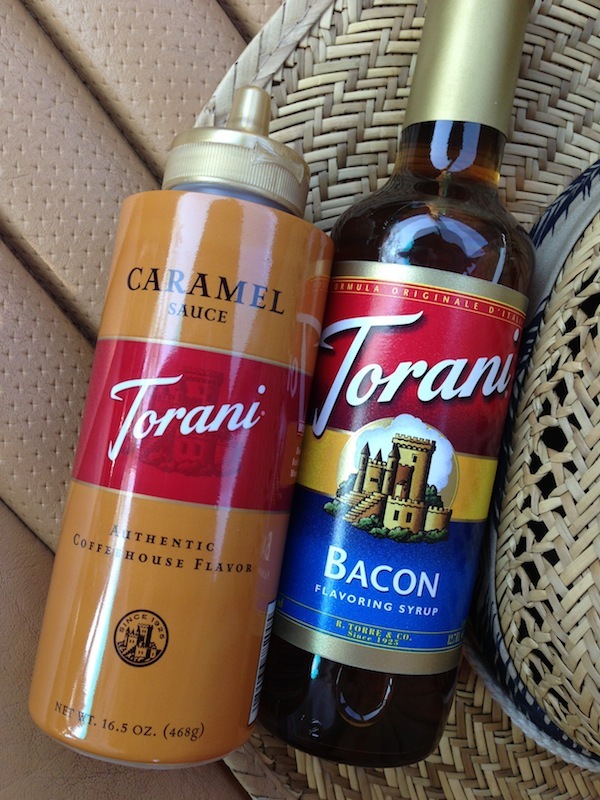 This can encompass culinary topics as well as almost anything else. For example, which is the best zombie movie of the past few decades? The only to be sure is to watch as many of them as you can. I personally favor old-school classics like “Omega Man” with Charlton Heston and Anthony Zerbe, but I recognize I may be in the minority with that choice. More recently “Shaun of The Dead” with Simon Pegg & Nick Frost could be a contender for its relative originality, and I think “I Am Legend” with Will Smith deserves a vote. As you might be able to tell, I’m not a huge fan of the straight horror-style zombie flicks filled with shuffling idiots. I like the ones with something new to push the theme forward, while respecting the genre. To keep my research complete, Rob and I went out to see a late showing of “World War Z” last week. I thought it failed to have a good plot climax, but it was good to see that the movie industry is still revisiting this tried-and-true theme. Zombie movies are sort of self-mocking, since the movies themselves are often “undead” versions of those that came before. At the same sale I found a Sunbeam Mixmaster Model 12 (made from 1957-1967) in fairly good condition. 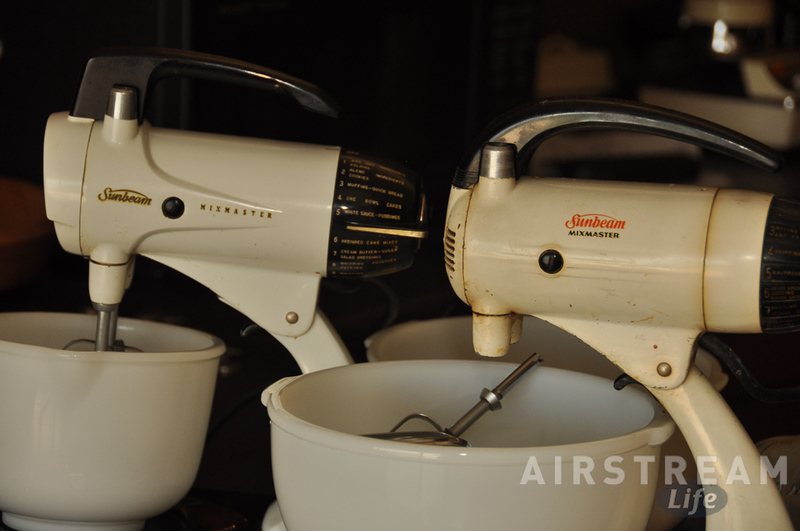 Eleanor already has a Mixmaster Model 9 (late 1940s) that was handed down through her family, which she still uses regularly. We thought the Model 12’s beaters might be interchangeable with the Model 9 beaters, but as it turns out the Model 12 won’t release the beaters at all. I’m going to have to take it apart to fix that problem, and while I’m in there I’ll clean up the gears and motor parts, and re-lube it with new food-grade synthetic grease. Two Mixmasters is really more than we can use, so I’m not sure what we will do with the Model 12 after I’ve fixed it up. Right now I’m admiring it as a great example of durable American mid-century mechanical design. It just looks good sitting there, and it’s amazing to me that these old machines still work as well as they do after fifty or sixty years in the kitchen. It’s also neat that they are still so inexpensive and easy to find, despite being antiques. I paid $22 for this one complete with beaters and two original milk-white glass bowls, all in good condition. These Mixmasters are analogous to my Mercedes W123: built in abundance, well-designed, long-lasting and hence beloved. In a way they represent a pinnacle of engineering, because they achieved everything that could be hoped for at the time. I wonder if the builders knew that they’d created things that would not be surpassed for durability by anything to follow. I really like things like that, machines that are timeless in both design and function. I’m not a fan of disposable industrial design. “Disposable” is for Kleenex. This bias is probably most of the reason why we have Airstreams, too. Of all the things we own, the mid-century products are the ones I respect the most. The machine that makes my smoothies is another antique, a Sunbeam Vista blender from the 1960s. When it just keeps working for decades, why replace it? In that vein, we recently acquired the final bits we need to install a NuTone Food Center in the Airstream Safari. The NuTones are highly sought by some RV owners because they are designed to be mounted in the countertop (thus saving valuable space when not in use). We had one in our 1977 Argosy 24 known as “Vintage Thunder,” and kept most of the accessories that we’d collected for it. The NuTone motor is permanently mounted under the counter, and you just pop whatever appliance you want on the power head at the countertop: blender, coffee grinder, juicer, mixer, food processor/slicer, knife sharpener, etc. Collecting the accessories is easy on eBay but the prices tend to be high these days because they’re out of production. Our final piece was the motor base, and we got one of those from David Winick at Alumapalooza. I plan to install it over the next winter, when I’ve got to get under the kitchen countertop to re-fasten it anyway. Speaking of Airstreams kitchens, the Caravel’s new dinette table has been cut. The dimensions are identical to the current table, but by using solid poplar instead of plywood/ash/Marmoleum, it is 8.1 pounds lighter (23.1 lbs). That may not seem like a lot, but it makes a huge difference. We’ve trimmed the weight by 26%, enough to allow one person to heave it out of the wall mounting bracket and convert it to a bed without help. And it looks better already. Neither Eleanor nor I were crazy about chunky look of the previous table. I’ve got to let the wood settle for a few days before I proceed with sanding, shaping, finish, and hardware, so for now it’s just resting flat on the floor of the living room. It may also require a little bracing underneath to ensure that the table never warps. I’ll get to that over the next few weeks. In the meantime, I’ve had a chance to contemplate why it matters to me to fine-tune the Caravel, a trailer that we hardly ever use and are seriously over-invested in. It’s really for the same reason that I’ll take two hours to disassemble an old kitchen mixer that we really don’t need, and carefully clean & lube it so that it can work as designed for another few decades. You could look on it as a form of recycling, but it’s more than that. The 1948 Sunbeam Mixmaster Model 9, the 1968 Caravel, the 1971 General Electric P7 oven, the 1984 Mercedes 300D, and the 1970s era NuTone could all be replaced by modern equivalents, but none would be as durable, or as inspirational to me. These things seem to deserve attention and respect and repair. They were made to last, in part because they were built in a time when “value” meant more than lowest price. More importantly, they have lasted, proving their designer’s principles were correct. If you want to make a product today that will last for ages, you don’t need to guess the future—you only need to respect good design. Not to get too romantic about it, but those few antique machines we still use and value prove that great principles endure. I mentioned in the previous blog that our 1968 Airstream Caravel is a bit of a hangar queen. I’ve come to accept that, viewing it as (a) an heirloom for Emma to use someday; (b) an investment vehicle (so far a spectacularly bad one, since we have more invested in it than market value); (c) an interesting ongoing project to advance my general “handyman” education. The last rationalization is probably the best one. The Caravel has advanced my education in woodworking and plumbing in particular. Someday I may even put those skills to use in the house, although I never seem to be as motivated to work on house projects. Houses are sort of boring—they don’t move. Last February the propane regulator began to leak, so I bought a replacement. The replacement regulator had the red/green “flags” which indicate if the tank is empty or full on the “front” of the regulator, but on the Caravel the regulator is supposed to mount facing the rear. This meant that the flags were not visible. The spare tire blocked any view of them. Rather than returning the regulator for one with the flags on top because that would be “too much trouble,” (and therein lies my big mistake) I decided to mount it facing forward. This was more complicated than it would seem. The job required numerous hardware store trips, a longer main hose, replacement “pigtail” hoses to the tanks, a pair of brass elbow fittings, four stainless screws, and numerous washers so that the mounting hardware would fit correctly. With that job finally done, I discovered that the handle of the manual crank hitch jack collided with the new regulator, making it very difficult to raise and lower the trailer’s tongue, so I decided to replace it with a power hitch jack. When I attempted to remove the original hitch jack, I discovered that it had been welded into place. And that’s where I am today. I didn’t have time to deal with it back in April and May, when I was doing a lot of work on the Safari, so I set the problem aside. Now that I’m back—and lacking a tow vehicle—the only way to proceed is to get a mobile welder out here to cut out the old hitch jack and then re-weld the necessary plate for the new one. I’ve made a few calls and should have someone out here in the next week or two. If I were smarter I would have simply returned the propane regulator for the right one, and avoided this entire mess. This debacle is going to end up costing about $400 counting all the miscellaneous parts, welding, and jack. But at least I can console myself with the knowledge that now I’ve got a fancy power hitch jack on the trailer that we never use. In the interest of continual investment for little actual return, I have also taken the dinette table out of the trailer to have it re-made. The table we have currently was overbuilt by a well-meaning friend and weighs far too much to be easily handled when converting it into bed mode. The same shop that built the black walnut countertop for the Safari a few months ago will duplicate the Caravel dinette top in poplar, which should be considerably lighter. I’ll shape it, finish it, and attach the hardware in the next few weeks. The plumbing project that I began last spring is about 80% complete. With the hot weather this time of year, I’m not inclined to go out to the carport to finish that job, even though the Caravel has air conditioning. It feels like a job to be done in the fall, when we return from Airstream travel and the Tucson weather is perfect for projects. Around here, that means November and early December. Someday soon this trailer is going to be absolutely perfect. I’ll have to take it somewhere. 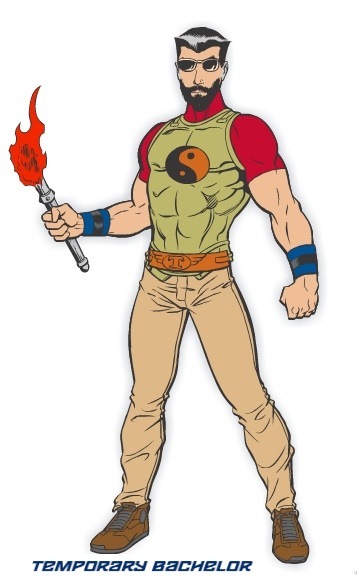 I flew back to Tucson on Tuesday in my everyday guise of mild-mannered magazine editor, and then once back in the Man Cave (formerly known as family residence) I pulled out the full TBM suit complete with fake pecs and flaming torch. It turned out there was not much need for a flaming torch, since this time of year southern Arizona has one up in the sky which has been frying eggs on sidewalks and melting shoe adhesive for several weeks now. The first order of business is always to re-boot the Man Cave. After six weeks of abandonment, there are always a few Manly Tasks to be handled, such was washing the desert dust off the cars, firing up the central cooling (it took nine hours to get the house cooled to 78 degrees), collecting mis-addressed junk mail, and sweeping up the detritus of desert life that tends to accumulate in and around the Cave. Eleanor received a particularly charming offer while we were gone (see photo). 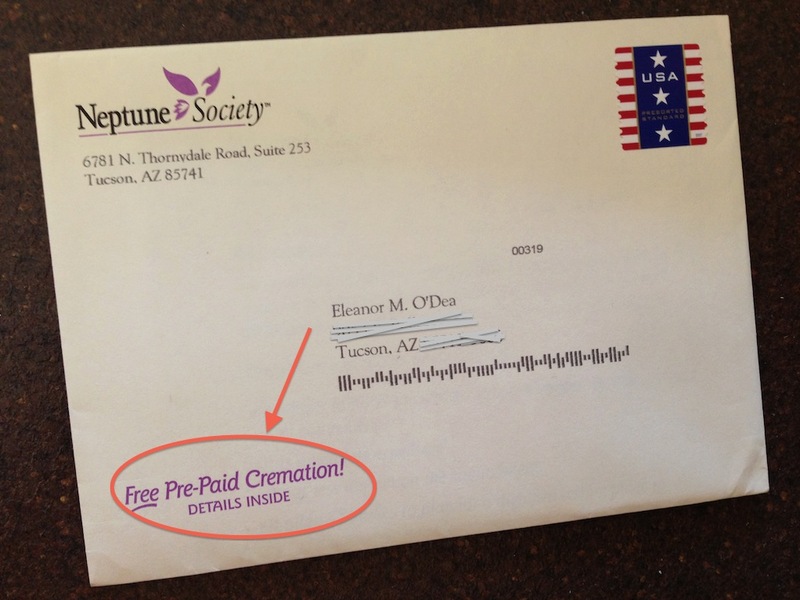 It wasn’t clear from the letter inside whether this offer was for her personal use, or an offer she could use to dispose of someone else’s body if needed. As generous as it sounded, this letter among many others ended up in the recycle bin. While the central A/C was fighting to expensively pump BTUs out of the Man Cave, I took the official TBM-mobile out for a quick wash and a run to the store for supplies. Also known as the 1984 Mercedes 300D or “the Stuttgart Taxi,” the car impressed me immediately because after six weeks of sitting unattended it had absolutely no oil drips at all, the vacuum system still had full pressure (or perhaps I should say full lack of pressure), and it fired up like a new car. All that work we did last October has paid off. I must say that the temptation to put a trailer hitch on the TBM-mobile is very strong. With that, I’d be able to tow the Caravel somewhere for a little trip —as long as I avoided hills. But I’m afraid that the ancient transmission might not like the added stress of towing, and even if it did I might encounter some challenges towing a 3000-lb parachute with an old diesel that was rated for 120 horsepower when it was new. Yesterday was an excellent start on TBM-type stuff. I cleaned up a lot of the emails and minor tasks that had accumulated while we were in Europe, took care of some overdue errands, got my hair trimmed into TBM style, and then Rob called with an invitation to the monthly guys-only card game. You can’t ask for a better TBM activity than a card game with the guys. The other saps in the game (all married guys with kids) started whining about needing to go home around 10 p.m., and I just waved my flaming torch at them and told them the night was young. Sadly, none of them seemed willing to break their shackles, and the game broke up not long after. It’s lonely being TBM sometimes. Southern Arizona summer heat is hated by many who live here. I can understand that. Like a northern winter, many activities are off the table. I can’t go bicycling during the day, for example, and people tend to huddle inside their air conditioned houses except for the hour or so after dawn (when the temps might be “only” 80 degrees). But we live in an area riddled with “sky islands”, meaning mountains that poke up steeply from the desert to heights of 6000-8000 feet above sea level. 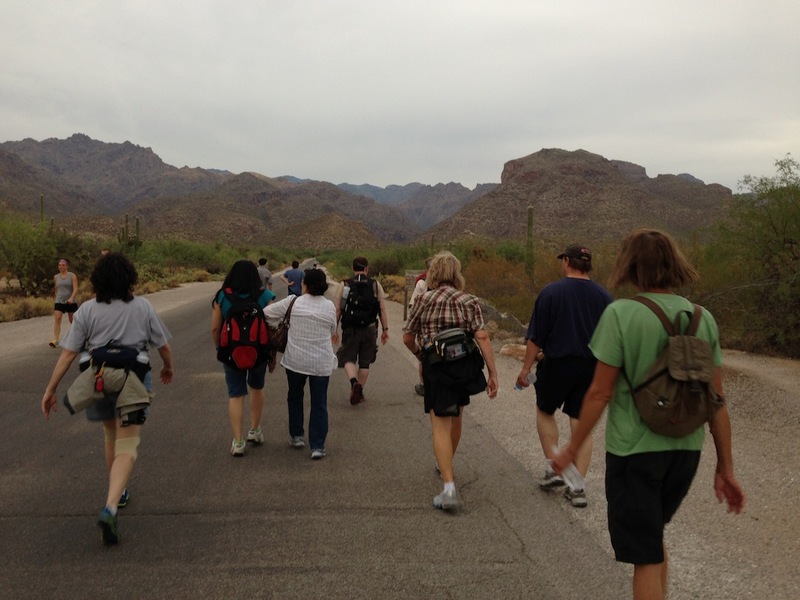 So hiking and exploring in the mountains is still possible less than an hour’s from Tucson. And we live only a few hours drive from the forested Mogollon plateau of northern Arizona, seven hours drive from the relative coolness of the southern California coast, and four hours drive from the beaches of Puerto Peñasco in Sonora, MX. That may seem a long way to go for coolness, but at least the option exists. When I lived on the east coast during bitterly cold winters, the nearest place to go to escape was Florida, 1,500 miles away. So I regard the heat as just another excuse for a good roadtrip sometime in the next few weeks. I plan to be here through late August, with a break to attend Alumafandango in Oregon during early August. (Still got a few spaces left, by the way, if you are thinking about joining us there!) In the time I’ve got there are many TBM missions to complete. I’ve got to scout some new locations for next year’s Alumafiesta in Tucson, check a possible location for a new event in the southwest for late 2014, supervise some home improvements, finish the Caravel plumbing project, work on a new book, edit the Winter 2013 issue of Airstream Life (Fall is in layout right now), check out a new sushi restaurant, see lots of family-unfriendly movies, and of course once again try to find the ultimate in Sonoran hot dogs from this year’s crop of roadside food trucks. If you’ve got a mission to suggest, feel free to pass it along and I’ll see if it can fit into the TBM plan.